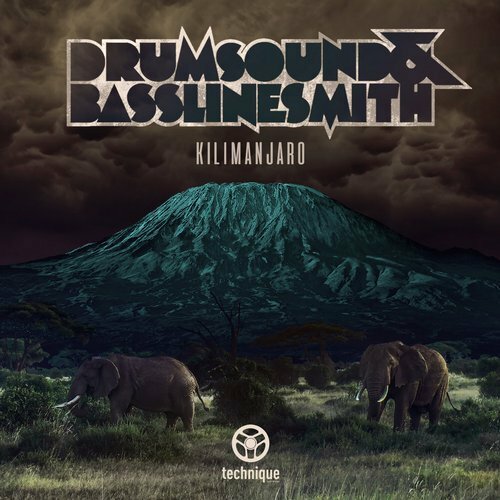 The Drumsound & Bassline Smith name on a new release is always attention-grabbing. Of course it is. Even if you disregard the deep foundations the individual members laid before the team-up, this is a brand to be seriously reckoned with. These guys are scene leaders, carving a path for others to follow. And here’s another piece of evidence. Kilimanjaro roots itself in as epic and wide-open a landscape as the mountain it’s named after. A pad morphs and seethes across the scenery. Distant echoes of percussion offset too-close-for-comfort stomps of kick. The sounds of the natural environment add colour. This is an intro packed with anticipation, and as the track builds, tension is ramped up to breaking point. The thunderous sub, mimicked and matched by strident djembe percussion, delivers the release of the drop. Those trademark Drumsound & Bassline Smith rolling breaks keep things moving. But it’s the interaction, the in-the-moment call-and-response soundclash between natural and synthetic sounds that give this track its true essence. With elements drawn from across the DnB spectrum with an artist’s disregard for style boundaries, this is going be a staple part of every self-respecting selector’s arsenal. It’s the Drumsound & Bassline Smith sound stripped back, with the junglist heart exposed and with all the visceral energy to take heads off in the rave. Big things.